A librarian named Evelyn (Rachel Weisz), who is deeply into Egyptian culture and artifacts, enlists the help of an American treasure hunter named Rick O'Connell (Brendan Fraser) to guide her to the hidden city of Hamunaptra. 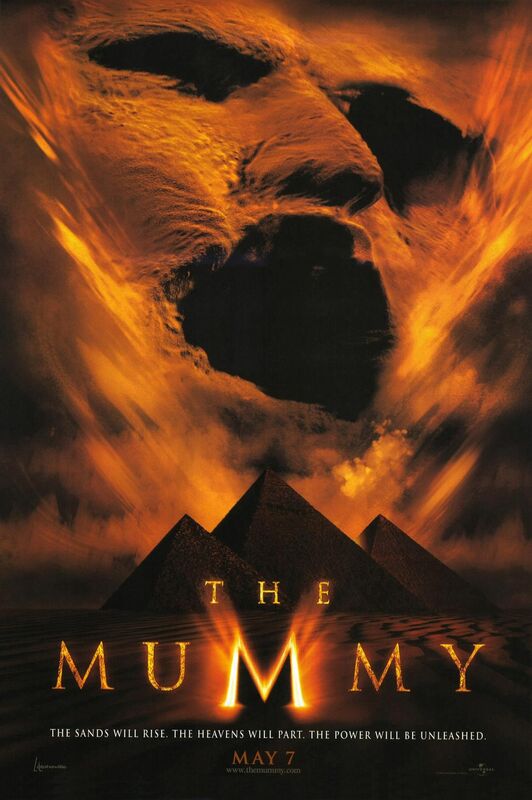 While there, they accidentally unleash an ancient evil, the cursed mummy of Imhotep (Arnold Vosloo). Now, they must find a way to return him to his grave before he consumes the world. Stephen Sommers' "The Mummy" is an action adventure re-imagining of the classic horror character. It stars Brendan Fraser as Rick O'Connell, an American treasure hunter who has served with the French foreign legion. Though Fraser tends to play himself in every movie he makes, his character in each film is based more on whatever clothes he wears. While serving with the foreign legion, he and his troops discovered the hidden city of Hamunaptra, where the majority of his fellow soldiers met their deaths. After a stint in prison and a near death sentence, Rick is approached by a librarian named Evelyn, played by Rachel Weisz, who offers to help get him out of prison and pay him if he leads her to Hamunaptra. Once they arrive in the lost city, they accidentally bring a cursed sorcerer named Imhotep, played by Arnold Vosloo, back from the dead. Imhotep wants to rule the world and put the soul of his beloved Anck Su Namun, played by Patricia Velasquez, into the body of Evelyn, you know, that old chestnut. I can remember absolutely loving this movie and watching it frequently when I was younger. It's one of those films where you don't have to think too hard about it, it's just a plain and simple guilty pleasure. It is often very lighthearted, filled with goofy jokes and puns at nearly every turn. It's a rather simplistic film that is very by-the-numbers in terms of plot, but again, it's not really setting out to be the next "Taxi Driver." It was made purely as a summer blockbuster popcorn flick to dazzle audiences with its state-of-the-art computer graphics. When we think about how we watched this movie back in the day, we were rather dazzled by its splendor, especially watching it on the silver screen. Hollywood was just starting to integrate more and more CGI into their films, trying to create and build brand new landscapes, worlds, and creatures that were not possible before the integration of computer generated effects. Of course, at that time, audiences were a little more accepting of overly fake looking CGI. Today, these effects are pretty laughable and "The Mummy" itself is quite dated because of this. It's very cheesy, and we knew that in 1999, but still, it's a relatively entertaining flick despite being much too long. There are a few good laughs with some decent action sprinkled throughout its dopey acting and Brendan Fraser's screaming. Though we prefer the old school version of "The Mummy" with Boris Karloff (and quite frankly, who wouldn't), now, it's painfully obvious Universal only made this movie in an effort to keep its rights from expiring.